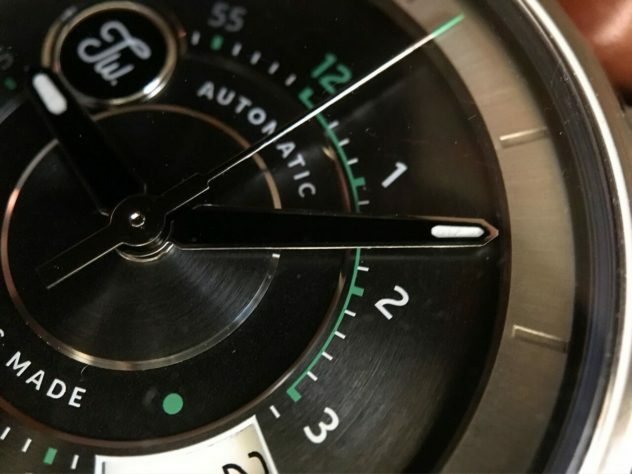 On Kickstarter we find to often classical and simple watches with nothing exciting and sometimes you fall in front of something really appealing. 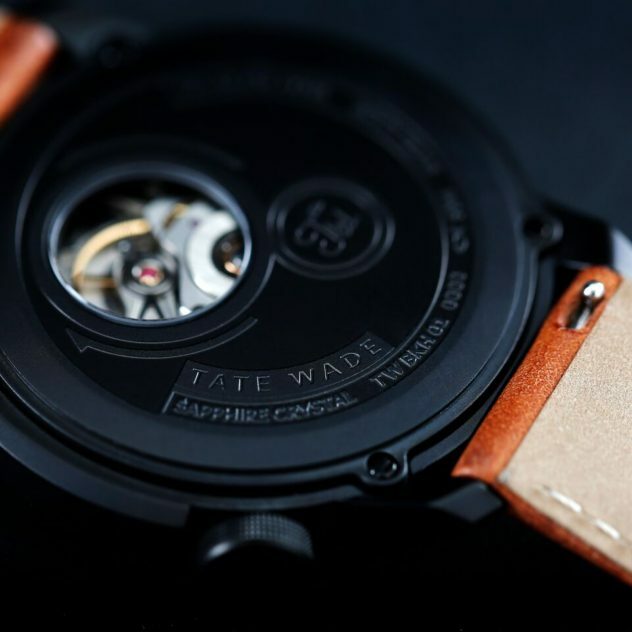 Wade Park and Stephan Roesli are the two entrepreneurs behind the Tate Wade brand. 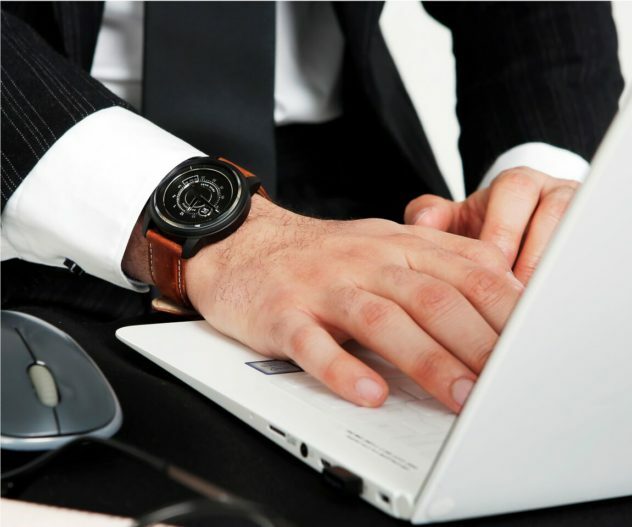 They came up with the concept of a watch back in 2015 and on May 2nd, 2017 they finally launched their Kickstarter campaign – Which is already a success as it’s almost funded. Honestly it’s not a surprise when you look at this piece called BOKEH. Why this name? The timepiece is named after the visual effect in the field of photography which evokes a mystic feeling. Bokeh, also known as “Boke” is one of the most popular subjects in photography. The reason why it is so popular is because Bokeh makes photographs visually appealing, forcing us to focus our attention on a particular area of the image. The word comes from Japanese language, which literally translates as “blur”. A good Bokeh pleases our eyes and our perception of the image… And you know what? This watch will really please your eyes and your perception of time. In fact, there are many similarities between a good Bokeh in photography, and a good watch in watchmaking … Wait, you’re going to tell me that I’m going in the wrong direction with this analogy. A good Bokeh depends on the type of lens you are using, when a good watch depends on the design and movement you’re using. If you have a good lens, the bokeh should be soft and fuzzy, looking pleasing to the eye; and if you strive to create a good design, thinking of all the details, then you’ll have a good looking timepiece. 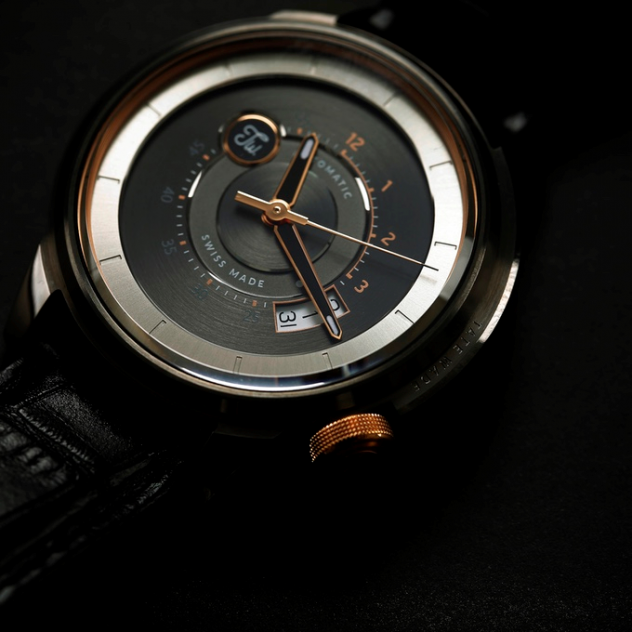 In both case, Bokeh and Watch design, the goal is to focus the attention of the crowd on one particular thing. Now let’s have a closer look to this first piece created by the Bienne based watch brand. 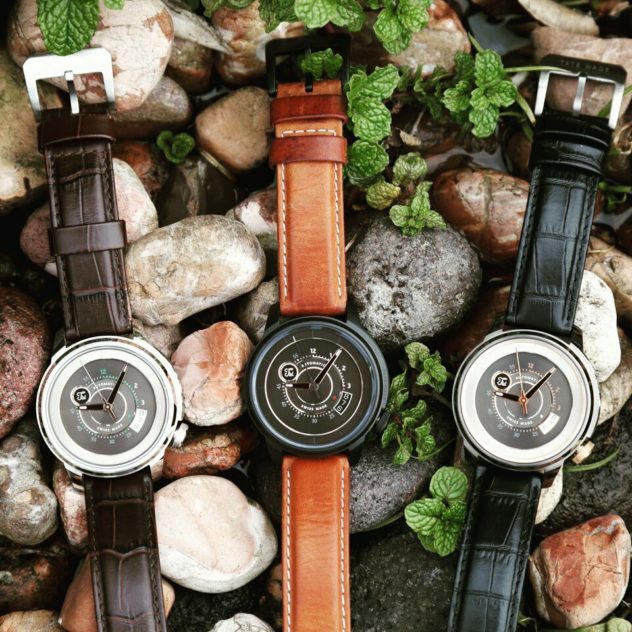 To create the design, they had to find their own unique brand concept which will live in their watches. 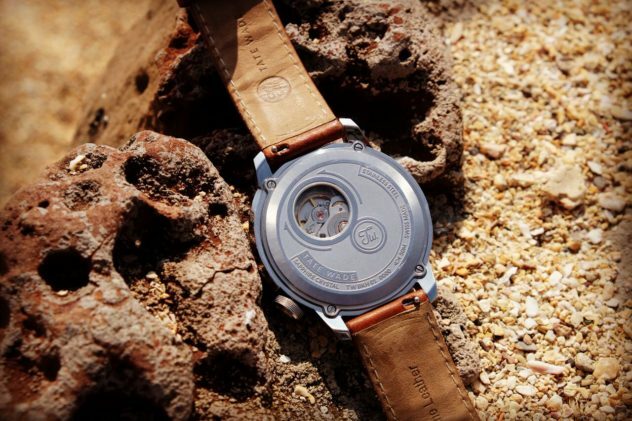 After many exchanges of ideas, they took the ‘Moments of life’ idea to build their brand since they believe that their watches can have bigger meaning to their consumers than being just nice watches to wear. To translate this idea into more tangible design code, they decided to choose camera as a medium because they saw a strong link between photography which captures slice of life and their idea about moments. And indeed, the link is really strong as even with a smartphone we all want to capture the best moments of our lives. The whole design is very elegant. The Tate Wade team with Studio Divine (Design Studio based in Switzerland) designed a completely unique case and crown to house the mechanical heart and a beautiful immersive multi-layer dial. The 42mm x 9.1mm case is made of stainless steel and you also have a version with black PVD coating. The interesting thing about this case is that it’s not a normal round case. Indeed, you have a little wing on the crown side which is there to protect the Tate Wade crown. This one gives to the case a size of 43.5 mm if you count it. The caseback which is held by 4 screws offers a view of the movement through a little aperture. On this one we will also find the engraved quote; “Carpe Momentum” which means “seize the moment”. The multi-layered dial has a lot of details and finishing which is quite interesting. The numbers are printed but you have 12 to 3 and then 25 to 55, so from one side the numbers of the hours and on the other side the numbers of the minutes… those numbers have different colors depending on the version; so you have for 12 to 3, white, gold and green. Note that for the green one you just have the color on the 12 and on the circle line that covers the 3 first hours… Clever I must say. The hands resume these different colors, that’s why on the variation 1 we find the tip of the seconds hand painted green. Back to the dial you have polished, sand-blasted and circular stained finishing on the base while we will find sunray satined finishing on the inner ring. The logo TW stands at 10 o’clock and we even have a date window placed in front of the crown at 4 o’clock. The whole is protected by a 1.85mm elevated sapphire glass with anti-reflection coating. At the heart of the piece there is the well known ETA-2824 movement which is also used by brands like Tudor, Hamilton, Sinn and many other brands. Why do watch companies love the ETA-2824? Simple: it’s accurate, durable, reliable and relatively inexpensive, while maintaining the core functionality needed by the majority of three-handed watches. The ETA caliber 2824 with 25 jewels, 28.800 bph and 38 hours of power reserve is one of the most recognized movements in the watch industry. Finally, the watch will be wrap around your wrist thanks to a High quality genuine leather which is easy to change thanks to the quick-release button. Well, sometimes when looking at a watch one likes it or not, ignoring the time spent to develop it. Then I can tell you, if there was 2 years between the owner’s first ideas of creation and the official launch of this collection, it is really worth it. This really nice watch inspired by photography is right now on Kickstarter and you can buy it for 439 CHF. Let’s finish with this: It’s BOKEH, it’s OK!!! The dial was well planned.